Only in the 1970s could two teenagers, sick of being the last to get picked up while hitchhiking to the beach, start their very own bus line. In 1971, La Habra kids Mike Kadletz and his brother Paul launched The Pink Bus Line, running down Beach Boulevard from Whittier Boulevard to Huntington Beach. On this episode of Off Peak, we hear from Mike himself about all the hoops he had to jump through to get his buses up and running – including a court challenge by bus behemoth Greyhound – and what it was like to run a business at 18. Unlike our start-up crazy times, it’s not something a lot of young people attempted in those days. Throngs of sun-burnt teenagers in 1971 mobbed the buses every day that summer. The buses pulsed the day’s rock and roll over its donated Motorola speakers. A hippie Vietnam Vet named Jerry Meng was the inaugural bus driver, and the Kadletz brothers painted the buses a shade of pink never seen before or since on a bus. We talk to two of the kids lucky enough to have ridden The Pink Bus Line in its brief yet spectacular run. The Pink Bus Line reminds us that transportation was once any entrepreneur’s game. Off Peak is produced by The Glue. 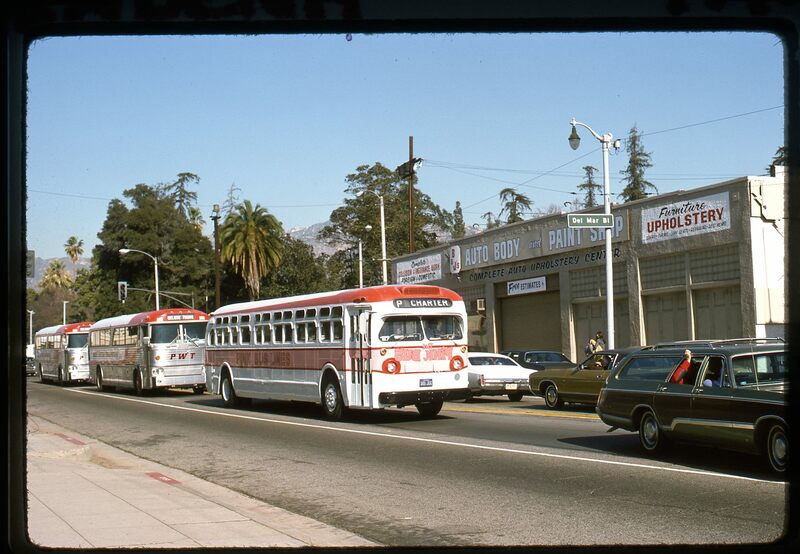 The LA TIMES had a major article in spring/summer 1971 on the Pink Bus Line. I have subscribed to Of-Peak. I really like it. I like the different hosts. It works well for some deeper dives into transpo history.